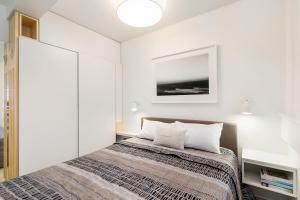 Elizabeth Bay Modern One Bedroom Apartment (EB7BAY) offers accommodations in Sydney, 1.6 miles from Art Gallery of New South Wales and 1.9 miles from Allianz Stadium. 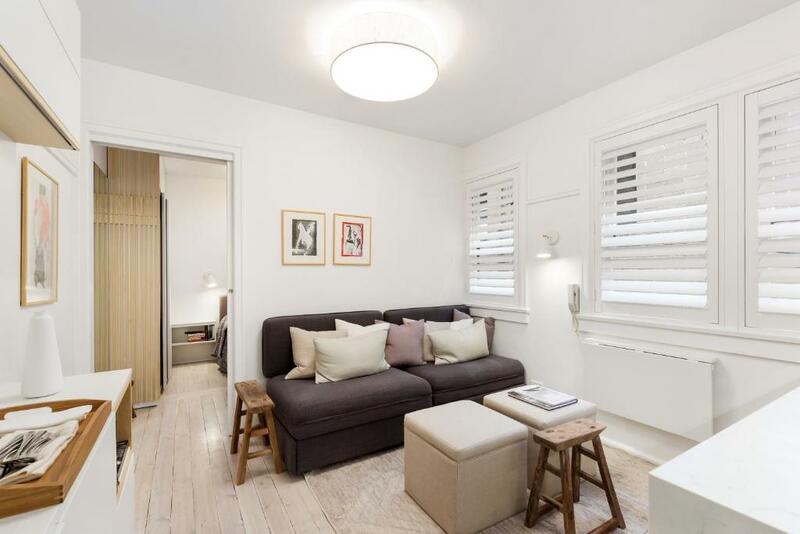 The property is 2.1 miles from Hyde Park Barracks Museum. The apartment is composed of 1 separate bedroom, a living room, a fully equipped kitchen with a dishwasher, and 1 bathroom. A flat-screen TV is provided. The Royal Botanic Gardens is 2.2 miles from the apartment. Kingsford Smith Airport is 6 miles from the property. 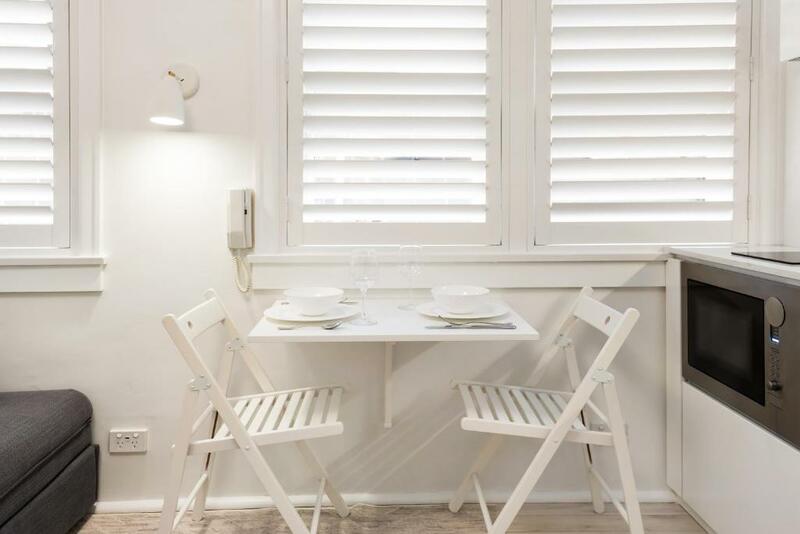 Rushcutters Bay is a great choice for travelers interested in beaches, walking and city walks. 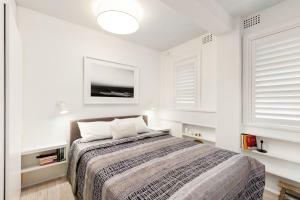 When would you like to stay at Elizabeth Bay Modern One Bedroom Apartment (EB7BAY)? 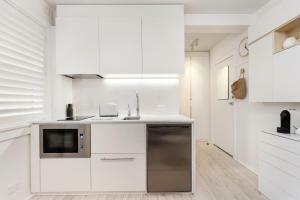 This well-appointed one bedroom apartment comes fully furnished with modern furniture, fixtures and fittings and is supplied with towels and linen. It contains everything you will need for both a short-term or long-term stay. Since 2000, Furnished Properties has been providing accommodation for both the corporate and holiday traveler. We are Sydney based and provide accommodation for both long and short-term stays. Not quite a hotel, not quite a real estate agent, when you need fully self-contained accommodation give us a call! 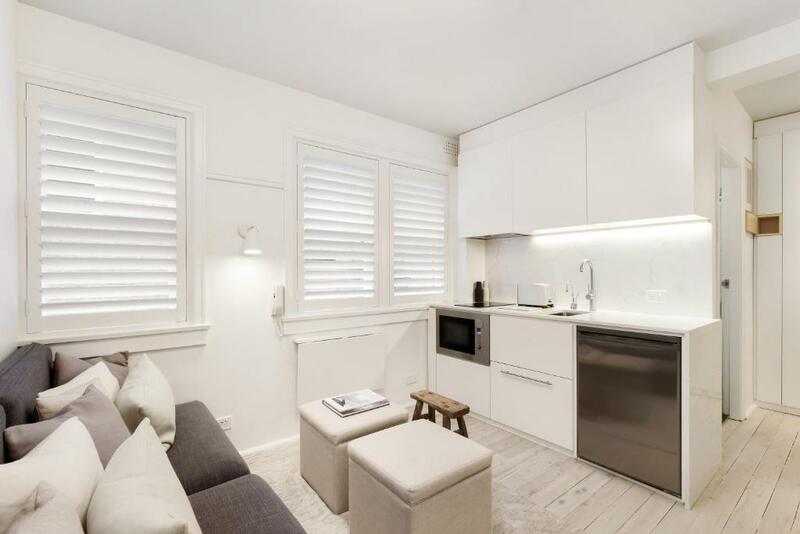 We manage properties in and around the CBD as well as popular areas on the outskirts of Sydney and the Blue Mountains. All our properties come fully furnished and we provide towels and linen, there’s even a welcome pack to get your stay off to a good start! Please note that it is furnished not serviced, so if you want regular cleans during your stay, we can provide this service at an additional cost. Elizabeth Bay is a harbourside suburb in eastern Sydney, in the state of New South Wales, Australia. Elizabeth Bay is located 3 kilometres east of the Sydney CBD. It is also home to an array of trendy bars, cafes and restaurants. 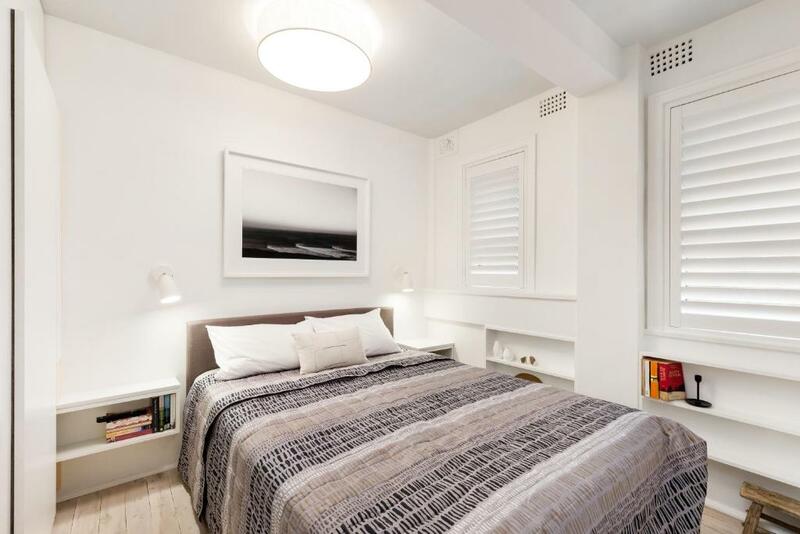 House Rules Elizabeth Bay Modern One Bedroom Apartment (EB7BAY) takes special requests – add in the next step! A AUD425 damage deposit is required on arrival (around USD299.05). This deposit will be fully refunded 7 days after check-out, as long as there isn't any damage to the property. Elizabeth Bay Modern One Bedroom Apartment (EB7BAY) accepts these cards and reserves the right to temporarily hold an amount prior to arrival. Please note that check-in and key collection take place at: G0.4/55 Miller Street, Pyrmont 2009. A damage deposit of AUD 425 is required on arrival. That's about 299.05USD. This will be collected by credit card. You should be reimbursed within 7 days of check-out. Your deposit will be refunded in full by credit card, subject to an inspection of the property. 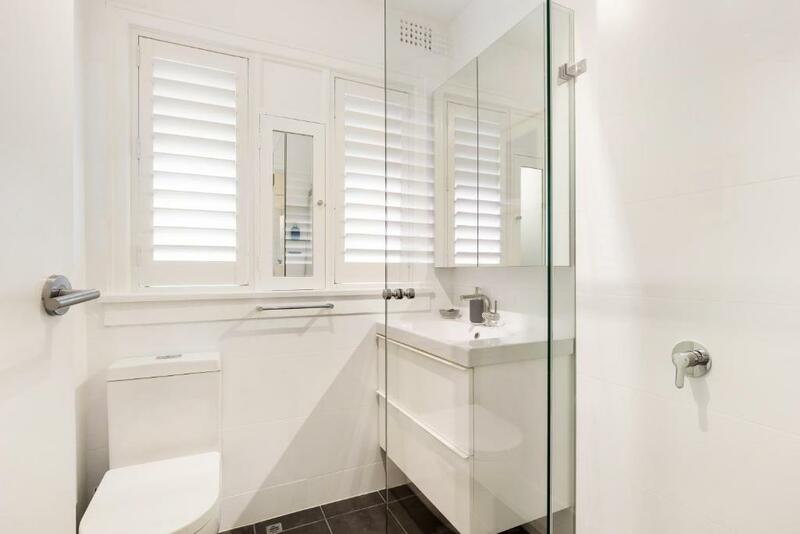 Please inform Elizabeth Bay Modern One Bedroom Apartment (EB7BAY) of your expected arrival time in advance. You can use the Special Requests box when booking, or contact the property directly using the contact details in your confirmation. I stayed longer than two weeks and I was supposed to make do with one pair of sheets for the bed and two large towels and two small towels, which means I had to go to the laundromat every other day. There is no cleaning service, no laundry. Also, there were a couple signs that insisted that when leaving you had to do all the cleaning, taking garbage out, putting dishes in the dish washer, or you would be charged for it. In the end, the amount of money I spent doing laundry at laundromats and the time I spent getting the apartment ready for check out ended up adding extra price to the stay. Maybe a hotel would have been a better bet. Last thing, the walls of the apartment are paper thin. You can hear EVERYTHING all your neighbours do. I mean everything. If you are a light sleeper this might not be the perfect place to stay. Amazing location. Well equipped flat, except no laundry and no air conditioning. Tons of storage space for clothes and toiletries. 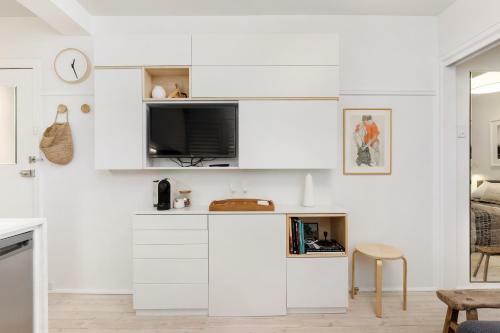 Really modern and clean furnishings. Reasonable WIFI. Close to pretty much anything you might need. There was no ventilation, bathroom ceiling was rotten and plaster was falling off. We stayed for 2 weeks and no clean linen or towels were provided or organised. We had to wash our own sheets at the laundromat. Directions given were not correct or clear - having to cross the city with luggage sucked - especially when map was not clear and I ended up way out and having to backtrack both from airport to office and then from office to unit! This system was inefficient and I will not book again. If it had been advertised as such I would not have booked at all. Bathroom was not clean, and no face cloth - would have been appreciated. Toilet seat not properly attached. Wifi had no internet connection!! Office hours to report were only until 5pm M-Fri! No in-unit information - ie how to find the laundry, where to shop etc. The excessive cleaning fee when there was no cleaning throughout our stay. No fan provided for the hot weather even though there is no air-conditioning. Was pleasantly surprised when told there was wifi as I was not expecting it because I realised after booking that wifi was not provided. However the wifi is not working. Key collection centre is quite far from accomodation. Incurred unnecessary transport expenses.